In today’s post we are going to discuss the question of “Is Social Media Exposure Necessary for Every Business?“… throughout the rest of this article we will go into great detail and provide ten reasons why it is not. Day by day people those who are using social media for the growth of their business are increasing. But are they really successful in creating a place for themselves? Is social media in true sense getting them across the board or increasing the sales? In what way do Twitter, Facebook, Linkedin and many other social networking sites contribute to the growth of your business. Given below are few reasons why social media should not be used for the businesses. In most of the local areas there are petty shops which are situated to attract the local crowd. In such cases it is mere waste of resource to employ social media strategies. Their market is very small in nature. Their customers are only to the extent of the locality that they have their store. They do not want intense form of advertisement like social media. These stores do not require brand marketing through social media. Word of mouth would rather be highly effective in such a state. All businesses do not require websites. And if you do not have a website then it is not required to get into social media. Even those big brands who have already established do not require social media marketing. Thirdly, some businesses might have company websites, but this is not the reason that they should get into social marketing. Sometimes unwanted exposure may hamper your business. You do not know how most of the unknown people would respond on your wall. Thus one has to be doubly careful while deciding whether to get into social media. One has to be actively involved in social media. If in case you just start an account for name sake and do not involve in it seriously then it can leave negative impact in the minds of the customer. You need to regularly upload articles and blogs which may not be of any use to your business. You also need a resourceful person in terms of knowledge who can creatively write articles and upload on timely basis. Thus it can be immense waste of time. If you are unable to do the monitoring of your brand name and do not respond to negative comments on the social network platform then your business might be in trouble. Thus in this case also it is very harmful to your business. This would damage the reputation and goodwill of the company. So to get into something which you are unaware and do things the wrong way is highly not advisable. Business accounts and personal accounts are very different. They have to be separate. Many people do not like to link to business accounts, so they do not connect to you. You should not club them together. It does not give a professional look to your business. Promoting business in some personal account may not be of great help. It may also leave a negative impact of your company. You never know! Most of the people are busily involved in their work. They do not have time to look at your business rather they are not even bothered. In that case what is the use of shouting when people are not hearing you? Though millions of people may be found online but all cannot become potential customers. It is difficult to identify the real customer for your business through any social media. Do not get lost here! Many times social media is just an activity that is performed by many people for the fun. It may be for connecting to close ones. In such an arena promoting business through social media does not make real sense. Here using social media for niche marketing to target these audiences does not offer any benefits. It can just turn out to be wrong advertisement in the wrong place. In many sites there are no follow tags used. Thus in such cases they cannot link back to your website. So in such cases people do not come back to your website. There is lots of admonition in the social media platform. You have to carefully find your way and beware of every step of yours. One wrong move can get all your well set business into trouble. Basically, most of the companies employ social media as one of the SEO strategies only. Thus in turn create huge number of profiles. Sometimes duplicate profiles may result in damaging the reputation. Through social media one cannot assure that the details of the account and the business are genuine. At times social media can turn out to dispatch negative impact on your business. Be careful! The risk factor is relatively large and can also turn out to be confusing to people. Thus these are certain factors which have to be considered before getting into social media and all tactically employing social media strategies can do no good to business many a times. There are many people who have tried out social media for marketing their business and have utterly failed at the end of the day. Therefore social media marketing for all businesses is not right concept. Only those companies who require an online presence must consider this. Further it is critical to gain complete knowledge about the pros and cons of social media for their business. If you do not gain knowledge about this there is increase in the chances of untoward eventualities and it would become difficult to solve the troubles and tackle every issue later in a smoother way. The amount of time and resource that you spent in social media development must be considered to learn about the gains from it. Is it worth? Have to gained significant results by posting regular updates. The gains should be measured so that you can decide on further spending time and resource on it. To what extent was that gainful? 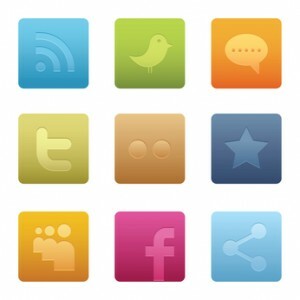 It is necessary to answer these questions to really evaluate the benefits of social media. This would help you to decide whether social media is essential for your business.